Product Information- The Savic Picnic Cocker Bowl is a great product for your pet for both indoors and outdoor environment. This is a multi utility bowl for your dog and is especially designed for picnics or a simple day out in the park. 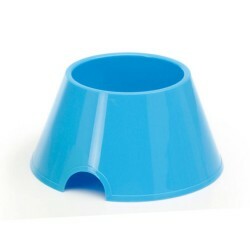 The bowl is bright blue in color and of complete durable plastic. These are extremely easy to clean and are a great value for money.This bowl is very useful for every pet owner because of its high sides the spillage is less. The Savic Picnic Cocker Bowl can be used for both water and food, this is even dishwasher safe. This product can be great when travelling as well. If you are on road trip and need to make regular pit stops on your journey then this bowl can come in very handy to provide your dog the required water and snack break.